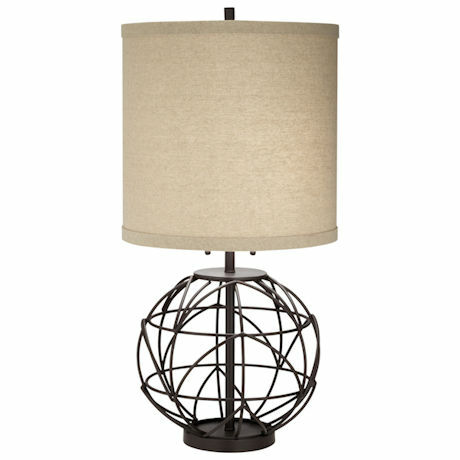 An open globe in bronze and a linen shade (10.5" high) create a stylish, artistic look for this metal table lamp. Lamp 32"h x 16"l x 16"w. Takes 2 medium base bulbs, 100 max wattage each. Please allow 2 weeks for delivery. No rush delivery or gift box. Item can only be shipped within the Continental US.